When Matt Hendricks did a little dance after scoring a goal the other night, we couldn't stop smiling. Not only was it a great goal that helped the Caps clinch the playoffs, but it was a great display of emotion, and just a bunch of fun. The Hendy Shuffle was born. After the game we couldn't stop doing it ourselves. Getting food from the Fridge, Hendy Shuffly. Walking the dog, Hendy Shuffle. Business meeting, Hendy Shuffle. 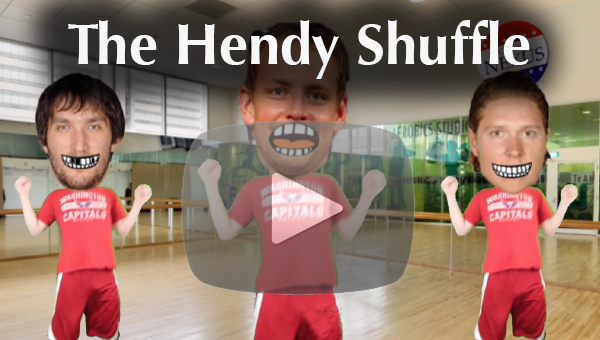 So we thought we'd put together a video to teach YOU how to do the Hendy Shuffle. 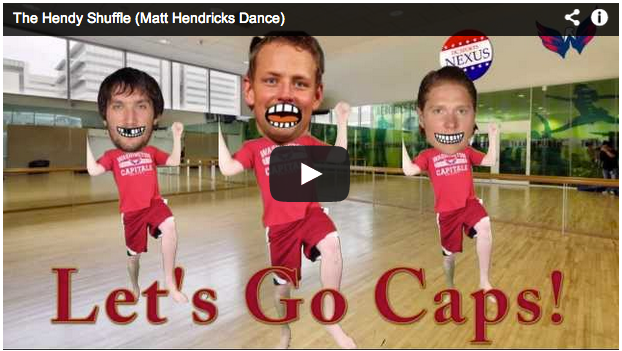 It's simple, just follow along with Matt Hendricks, Alex Ovechkin, and Nicklas Backstrom!